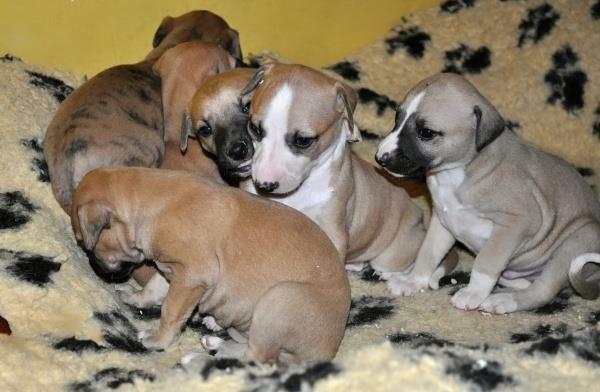 20.07.2012 - new photos of 4 weeks old pups at our Puppies site! 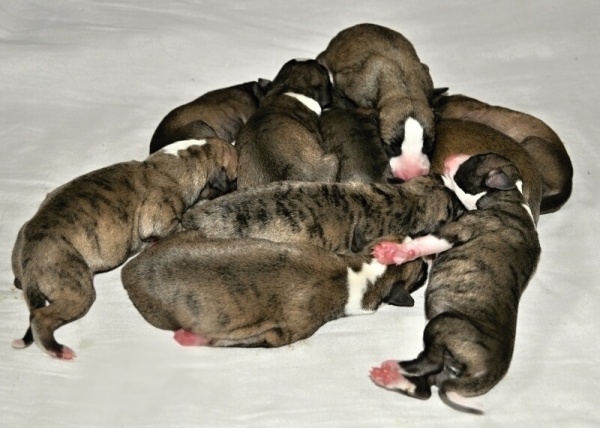 01.07.2012 - we updated Puppies site! 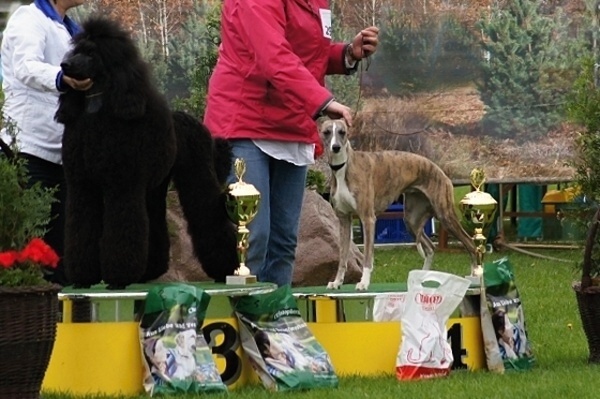 18.05.2012 - wonderful news from the World Dog Show in Salzburg! - our Sheila (Rheghits Shirley Bassey) exc. 1/22 in junior class - Junior World Winner!!!!! 06.05.2012 CACIB show in Lodz. 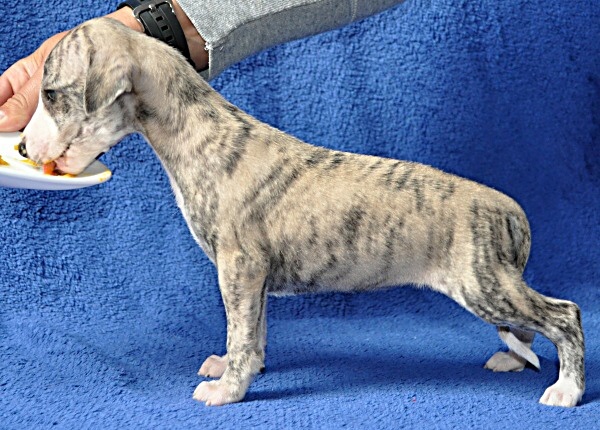 There where 24 whippets shown. We have took only one girl for this show, Rhetshis Shirley Bassey, which was shown in junior class. 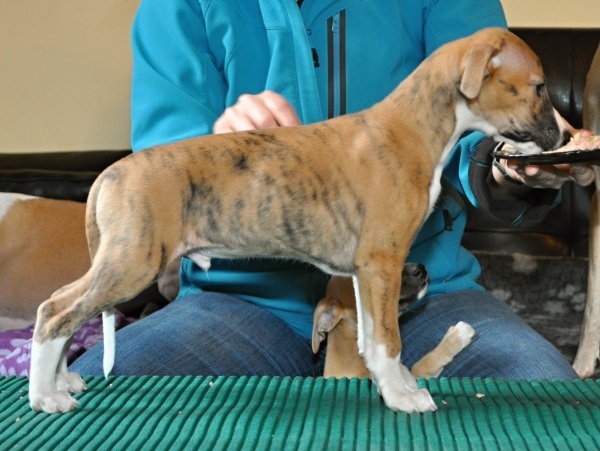 Sheila won: Junior Winner, Junior BOB, and at the end... Best of Breed! 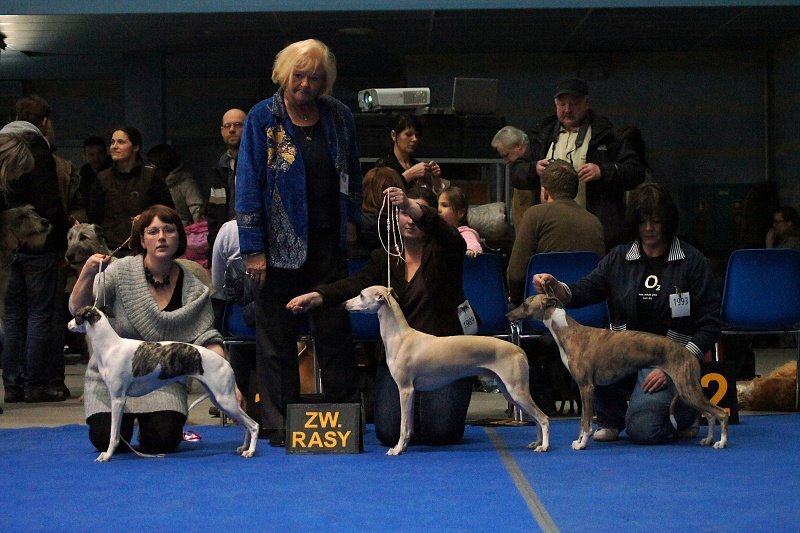 The "cherry on the cake" was BIS4 Junior at finals :) Whippets were judged by Ms Dorothea Hanlon Caroll from Ireland, BIS Junior by Ms Joanna Szczepańska-Korpetta from Poland. We have a lot of news so we moved news from 2011 to the archieve (you can find it at the bottom of this page). 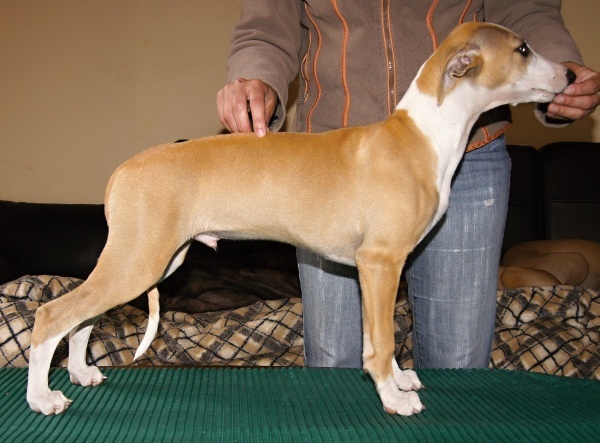 12.02.2012 - our Sheila was shown for the very first time at CACIB show in Rzeszow in junior class. She went exc.1. Junior Winner, Junior BOB an Junior BIS4!!! What a start in Junior Class!